Max Johnson is a bassist and composer living in New York City. He plays in the avant-garde jazz & bluegrass scenes, and has performed throughout North America and Europe. We interviewed him last January, so feel free to check that out for more information. 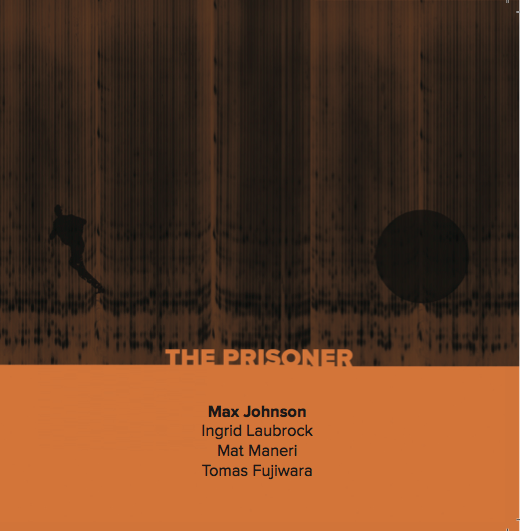 On this effort, Johnson teams with New York stalwarts Ingrid Laubrock, Mat Maneri, and Tomas Fujiwara. Despite the jazz leanings of the group, The Prisoner is perhaps best labeled as modern classical music. The interplay between Johnson and Maneri, especially, exhibits the kind of precision and delicacy one would expect from members of a string quartet. At times, the scratchiness and structural looseness of the tracks is reminiscent of Ligeti, Xenakis, or Nono. For instance, No. 48 Living in Harmony starts with a bowed and plucked viola / bass segment, then Laubrock joins with an sax melody. All of this is backed up by Fujiwara’s busy and disjoint drumming. The sum, however, resembles a composition for three distinct sections: strings, brass and percussion. Thus, the analogy to classical. One track with a jazz feel is X04, which starts with a bass and drum vamp, followed by viola and sax leads. But the majority of the album doesn’t overtly groove or swing. This is a subtle and understated release. The Prisoner might not blow you away on the first, second, or fifth listen. But if you stick with it, you’ll soon discover its depth and character. A true grower, and one of the better releases of the year so far.